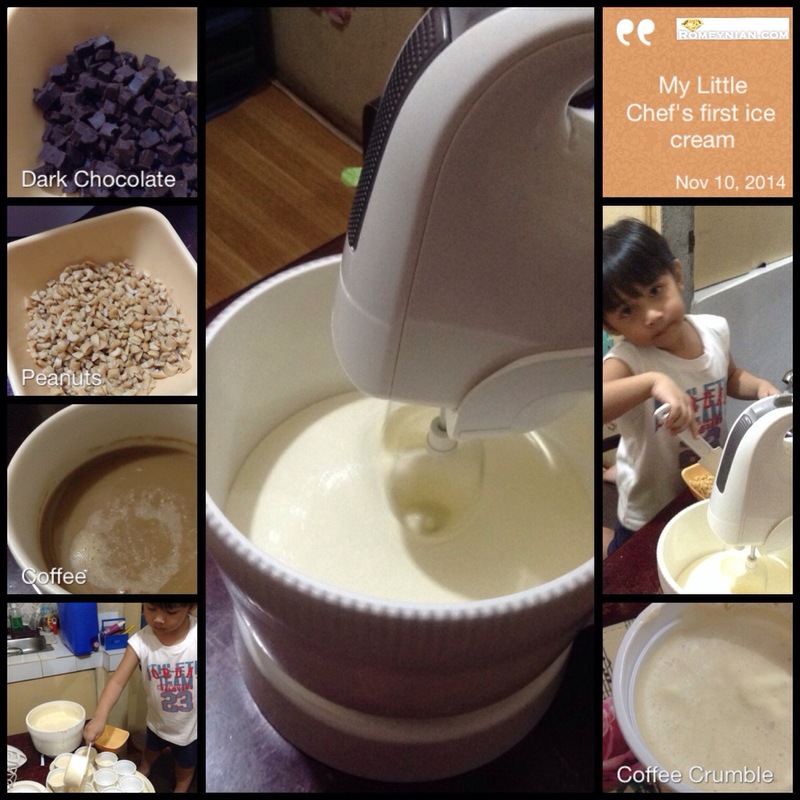 We were inspired by my sister-in-law to make our own home made ice cream. So here it is, our version of Coffee Crumble. 2. Mix the 2 sachets of 3-in-1 coffee in a mug with hot water. 6. You can put it in small cups for faster freezing or in a 1 gallon container so you can mix it after 30minutes of refrigerating to avoid the chocolate and peanuts from settling down. There’s my little chef carefully making the ice cream!